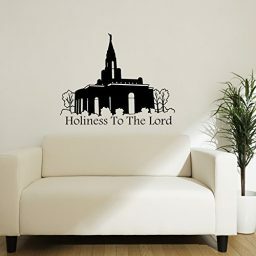 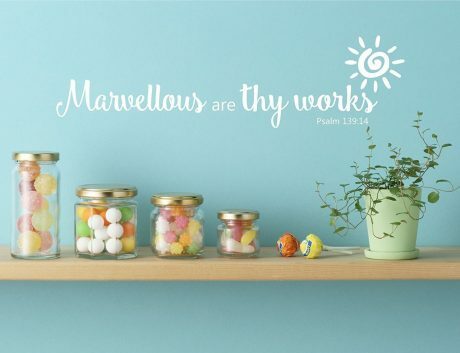 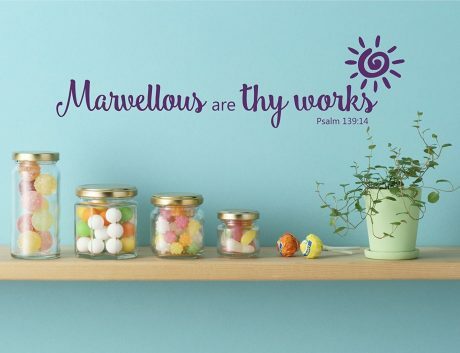 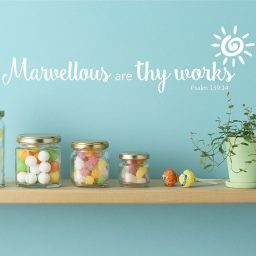 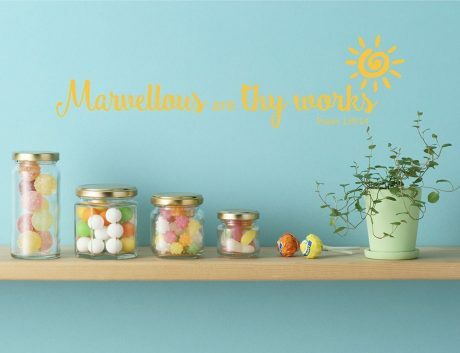 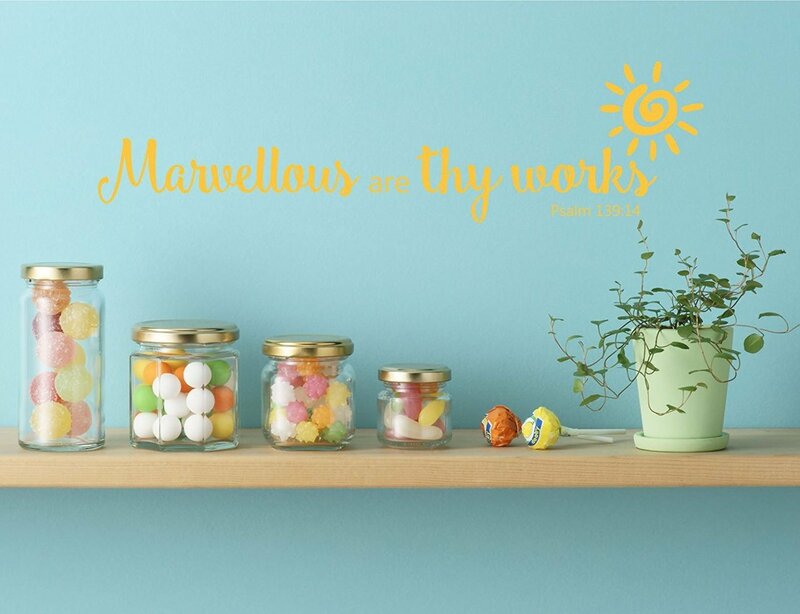 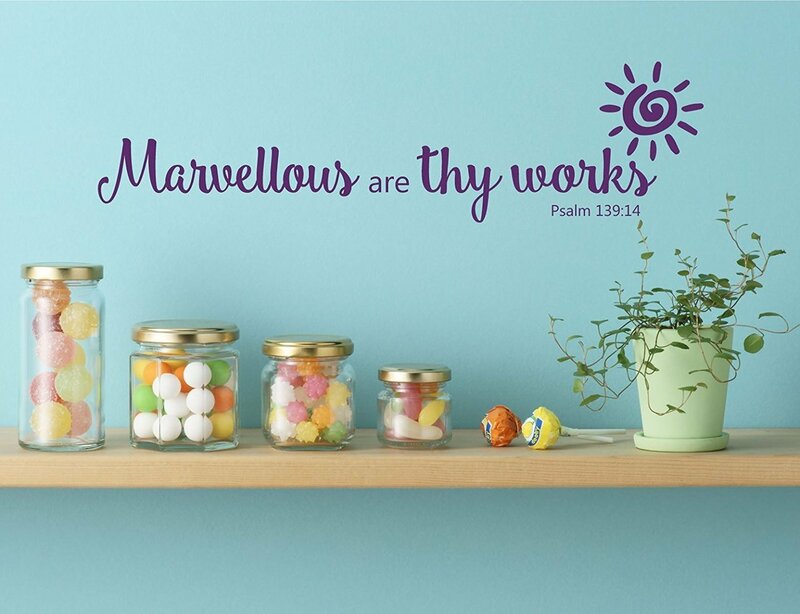 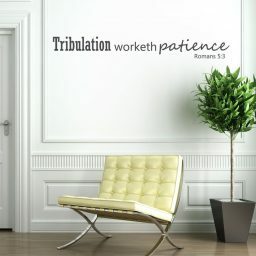 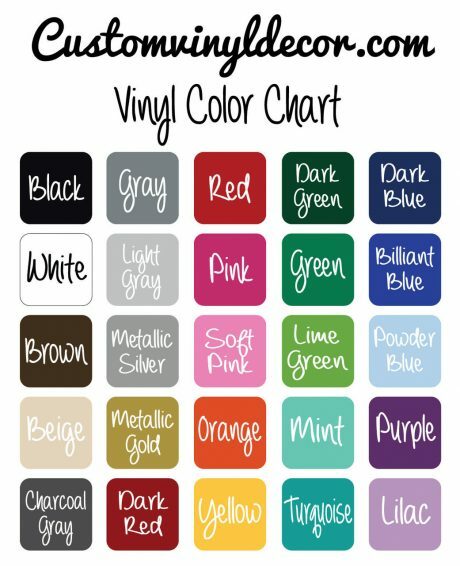 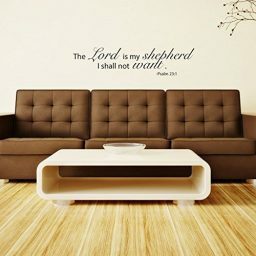 Bible verse wall decals are the perfect way to bring uplifting, positive feelings into your home by inviting the spirit of the Lord to be present. Psalm 139:14 acknowledges how marvelous the works of God are. 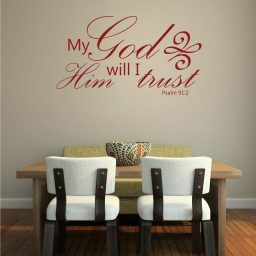 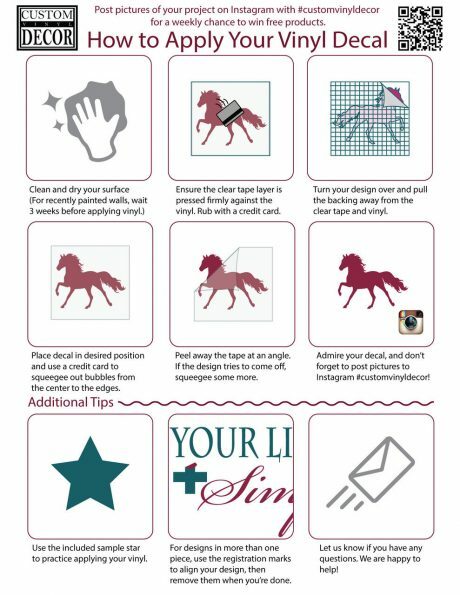 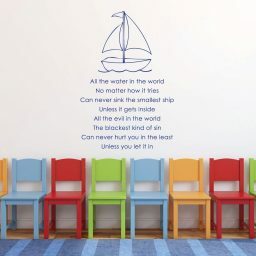 Put this decal in your home, on walls at church, or give as a gift.